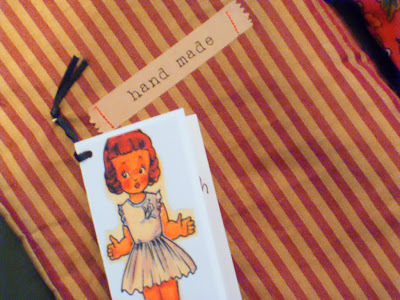 Taking a break from my "secret project" to make some birthday gifts for the May celebrants. 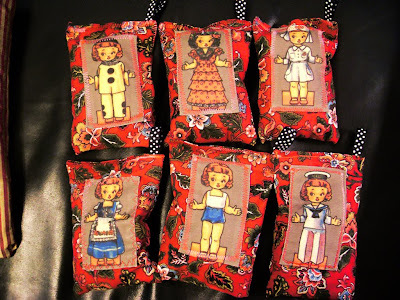 These are little sachets full of french lavender enclosed in french cotton and embellished with paper doll cloth I made on Spoonflower. The paper doll is vintage - Spanish actually - but she looks so French that I felt she was appropriate sitting on the Aix en Provence floral. And they all will be 'wrapped' in a striped little satin pouch. My apartment smells of potpourri. Heaven!